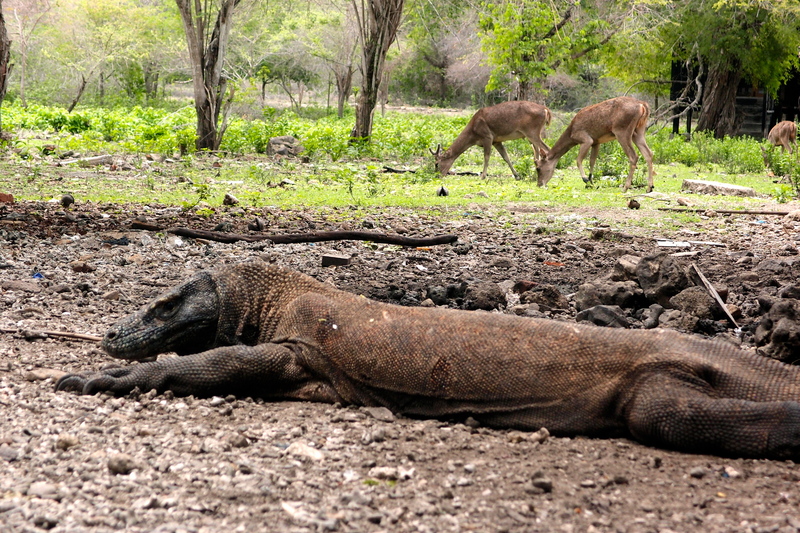 I have a vivid memory of me as a little kid watching a TV program of some Komodo dragons devouring deer. 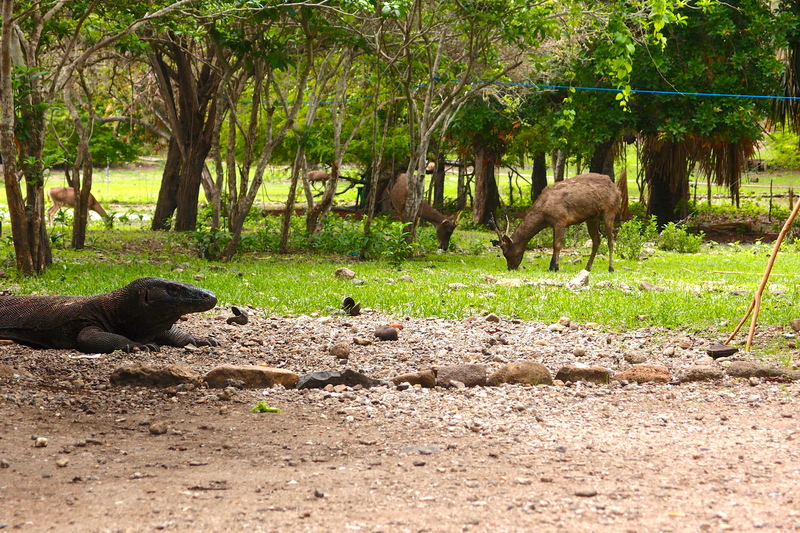 I don’t remember the details, but undoubtedly that nature show was filmed in Komodo National Park. 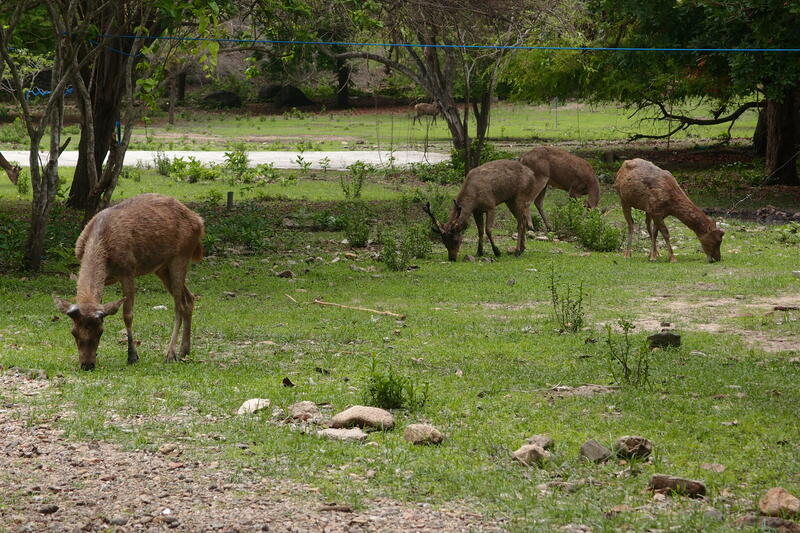 I was so disturbed by the images shown that I remember crying for quite some time for the poor little deer. At the time, I couldn’t have imagined visiting such a distant land and seeing these fierce creatures for myself, but here I am. 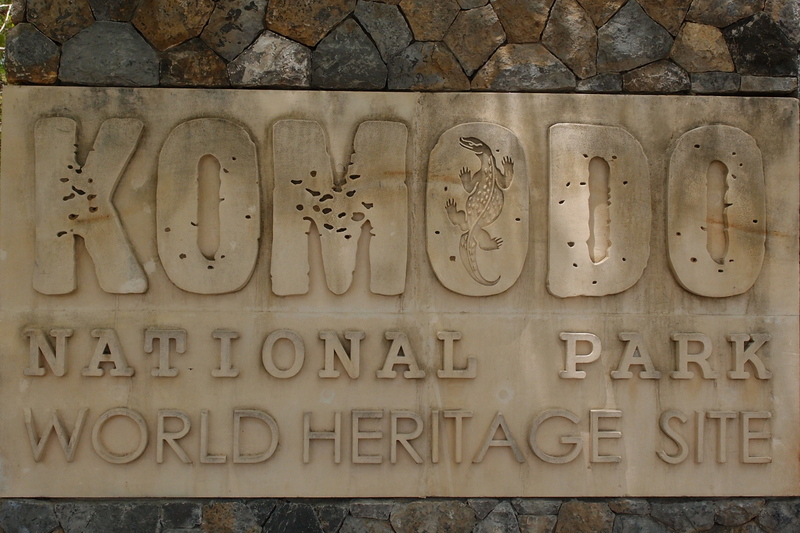 The entrance of Komodo National Park at Komodo Island. 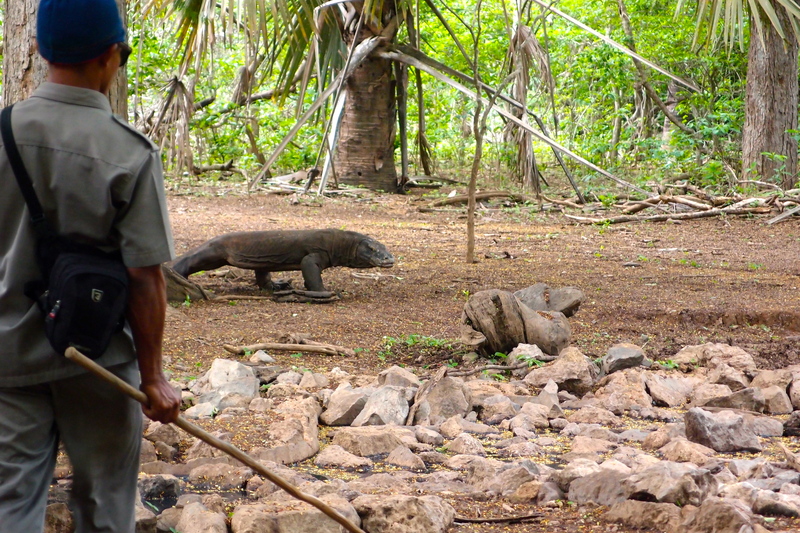 Trekking through Komodo Island in search of dragons. And right after, this beast strolled in. 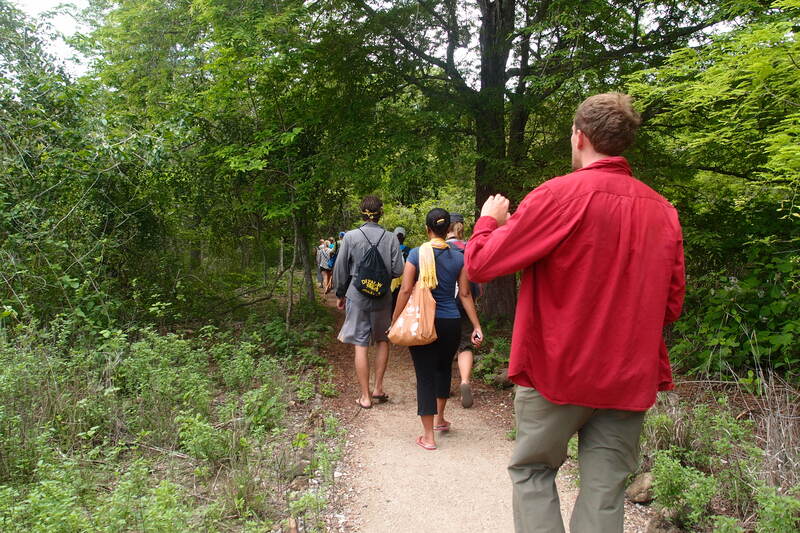 Our fearless guide and the stick to protect us. 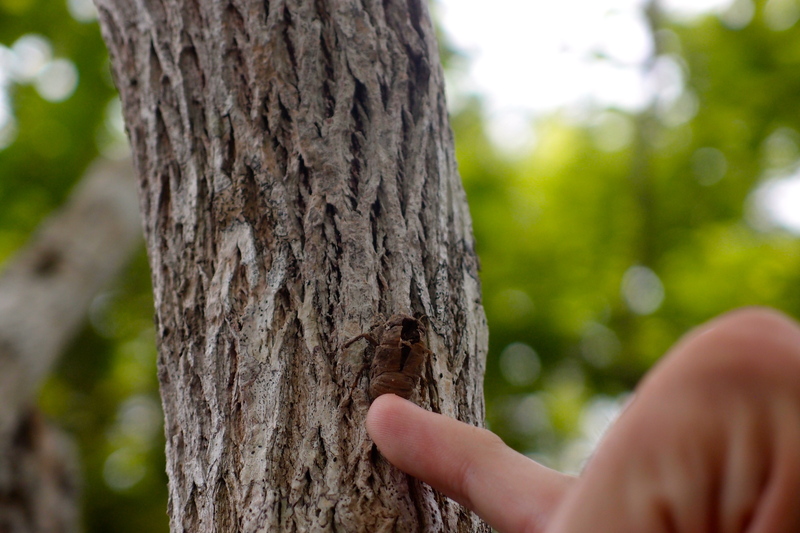 Please note how small that forked stick is. 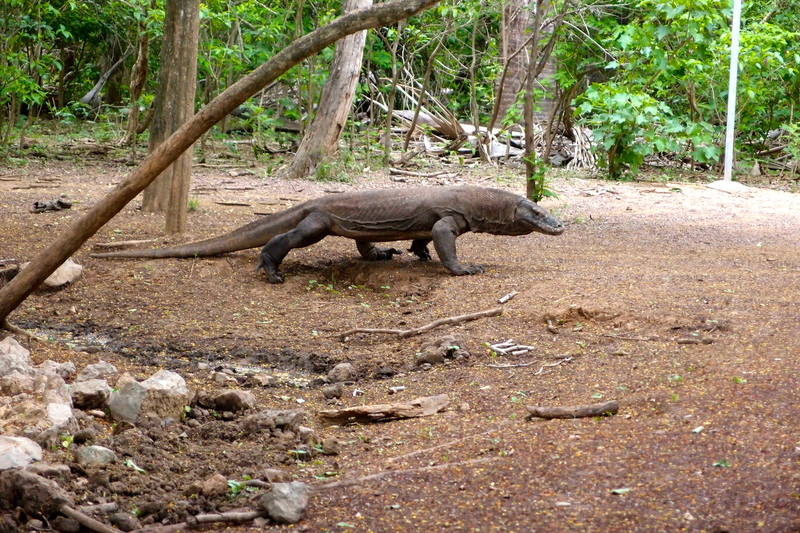 Supposedly, Komodo dragons can run and swim really fast. 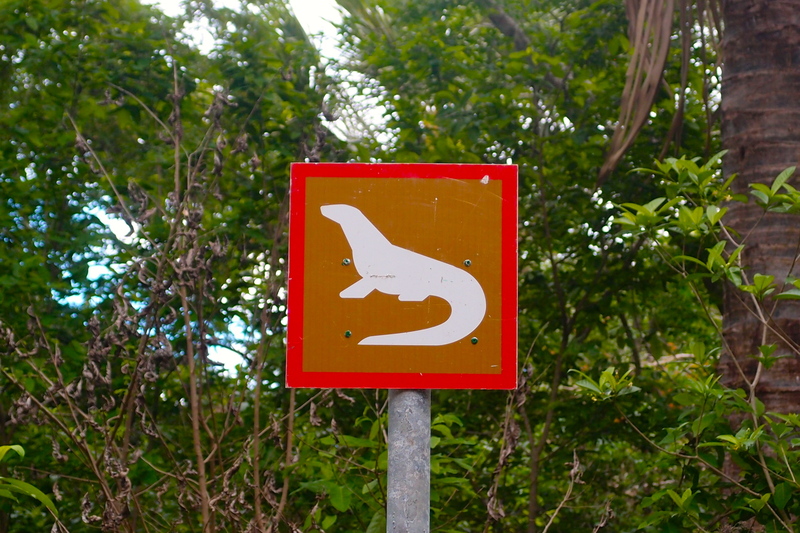 This one walked around leisurely. 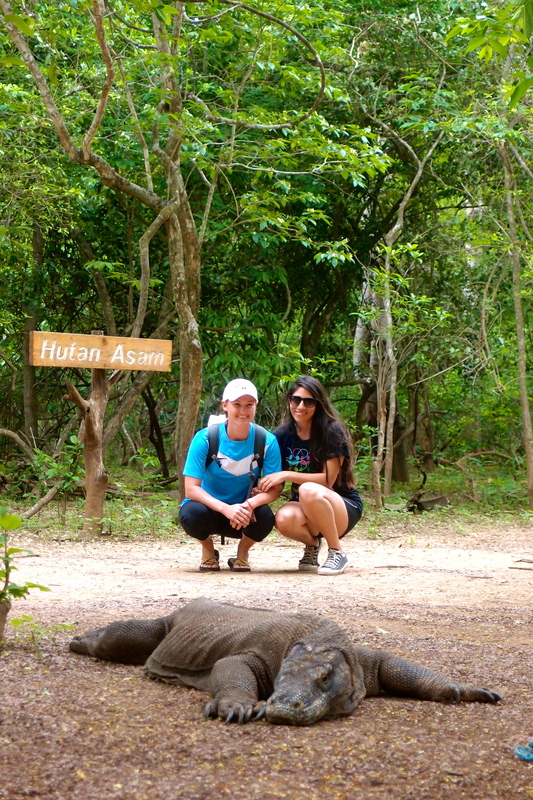 One of the guides insisted on taking a “better” picture of me and the komodo. I have to admit…it came out pretty cool. 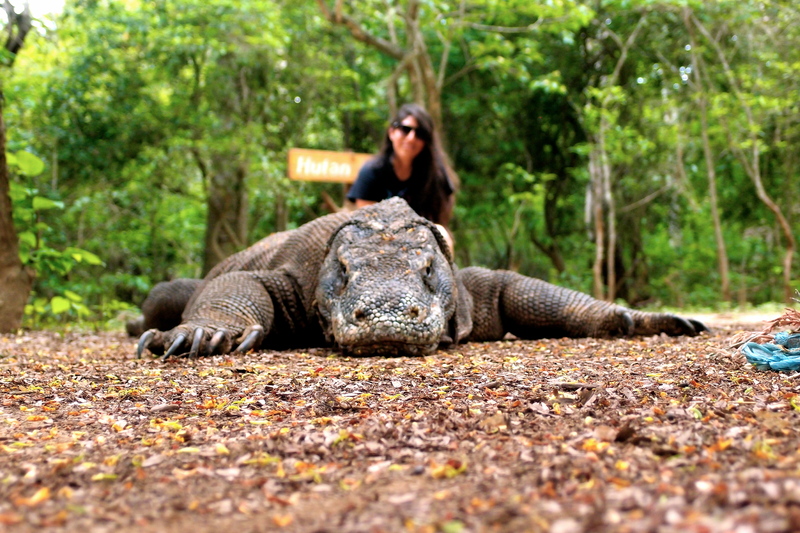 But it also led me to believe that this dragon is really accustomed to being photographed. After everyone got their photos taken care of, we continued in search of more dragons, but first we encountered a bug’s molt. 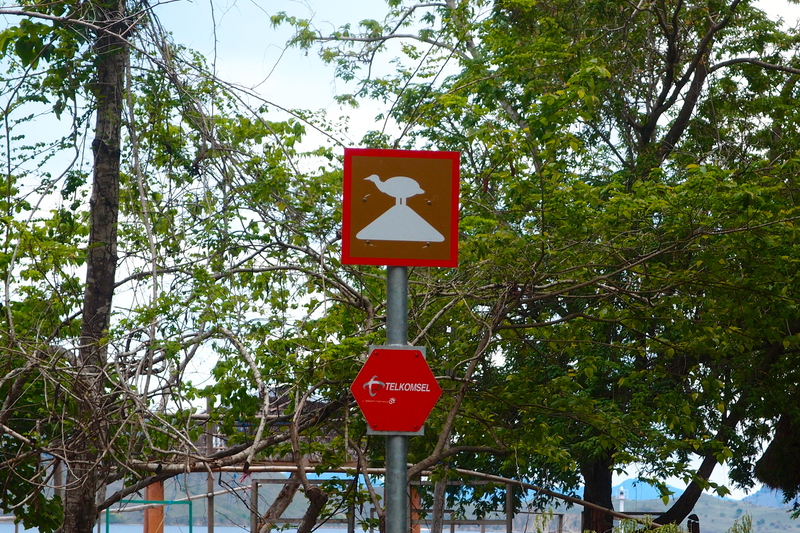 And plenty of the Komodo dragons’ food supply. 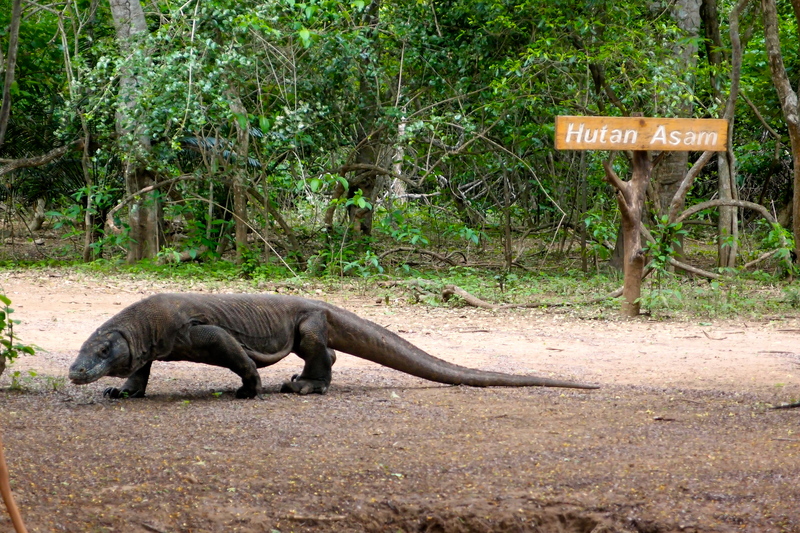 Contrary to my childhood memory, these dragons seem to live peacefully with deer…most of the time. 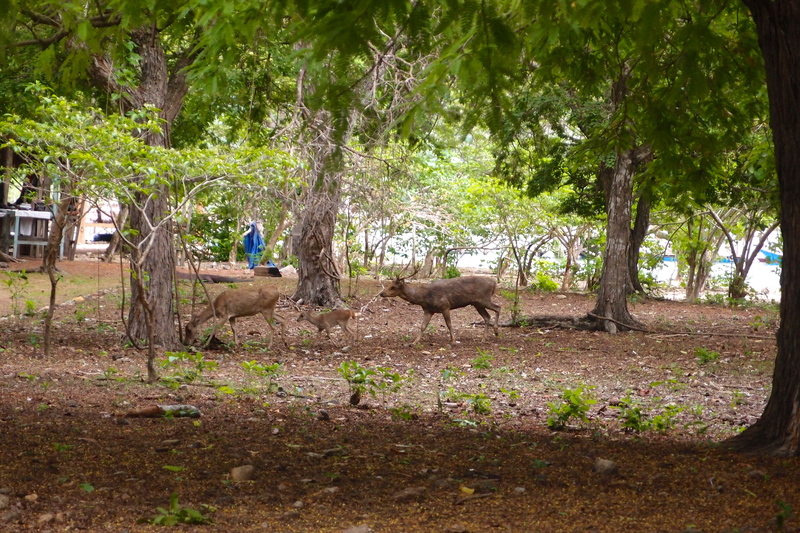 I hope this little deer family doesn’t become lunch anytime soon! 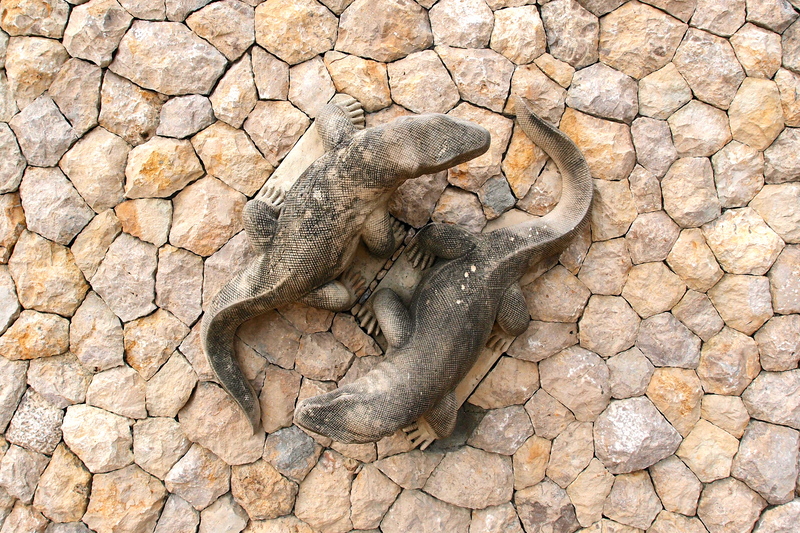 This Komodo dragon sculpture adorns the entrance of the park. Lastly, a short video of Tim singing the Jurassic Park theme song as the dragon strolled along. 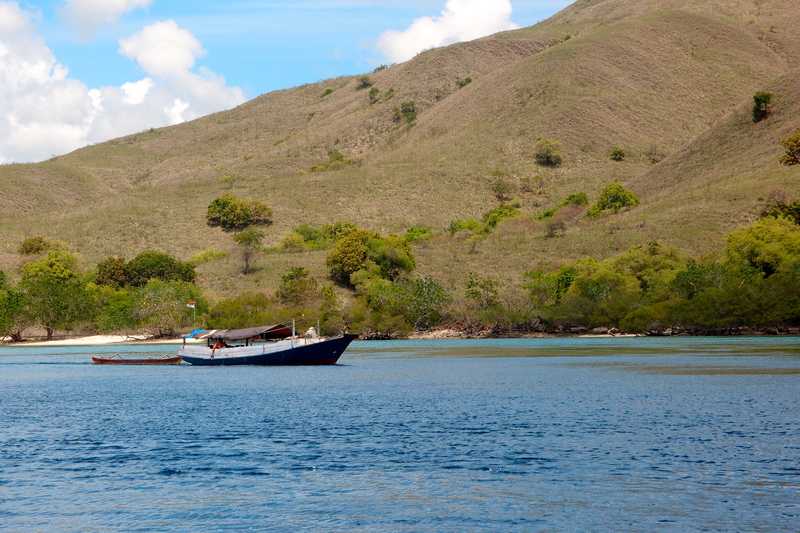 Though encountering Komodo dragons in Komodo Island was cool, the several hours we spent on a boat getting there and back were equally memorable. 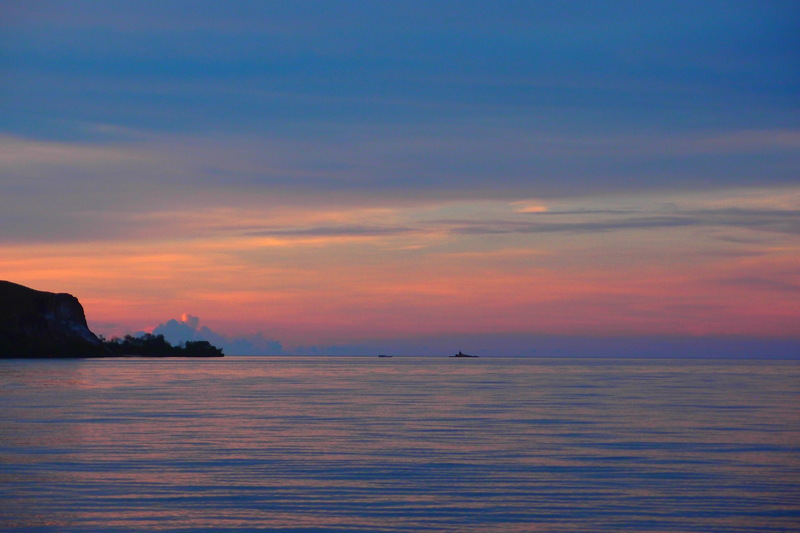 The sea glowed in varying shades of blues and aquamarines. 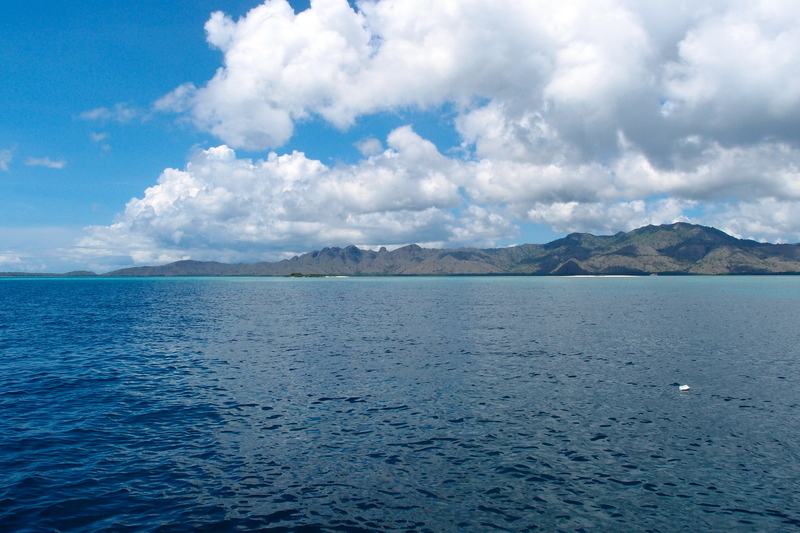 The mountains towered over the sea on each side of us, framing the silhouettes of dolphins in the distance. The water was calm and crystal clear and when we could snorkel, we swam through school after school of fish entwined among colorful coral. 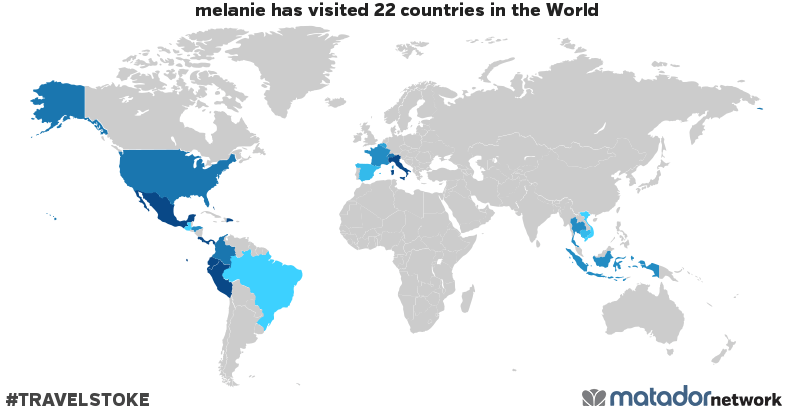 Most memorably, I caught a glimpse of a wandering sea turtle alongside stunning manta rays soaring majestically with their 3-meter wingspan near the ocean’s floor. 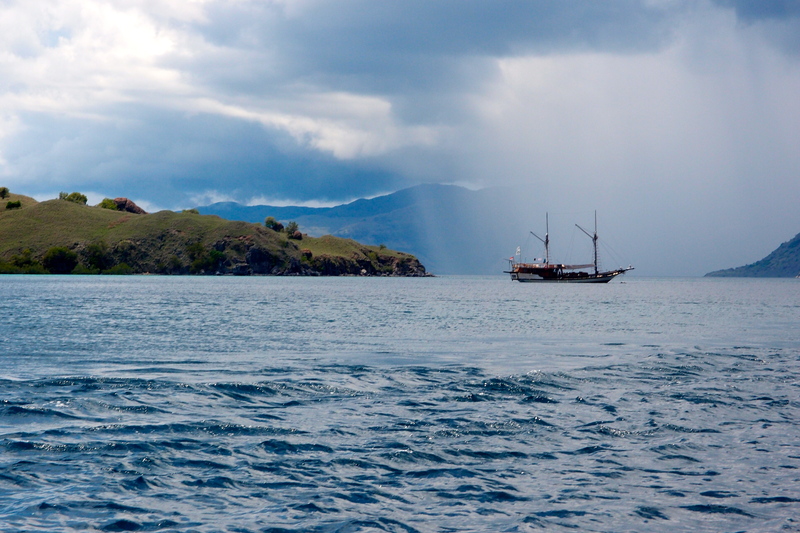 On the way to Komodo Island. What appears to be a pirate ship in the rain. 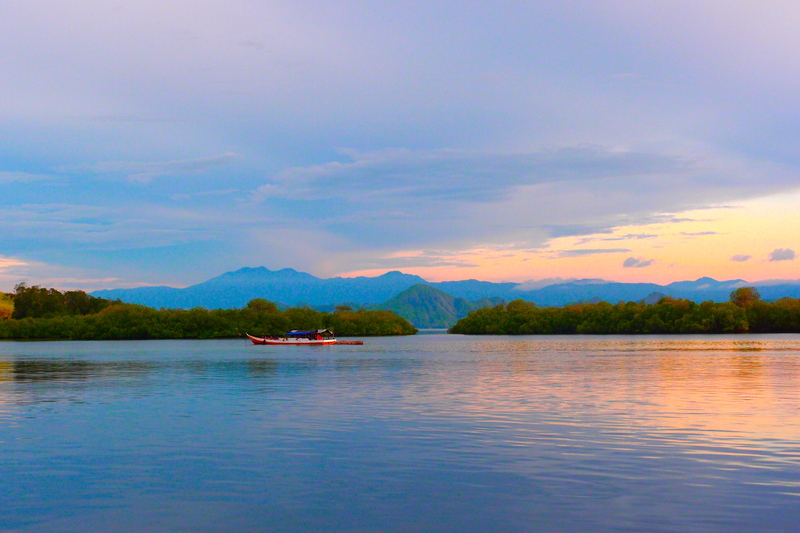 All this concluded with the most beautiful sunset of all the days in Flores. Probably one of my favorite pictures from the whole trip. Tim, Jay and Ellen viewing the sunset from the top of our boat. 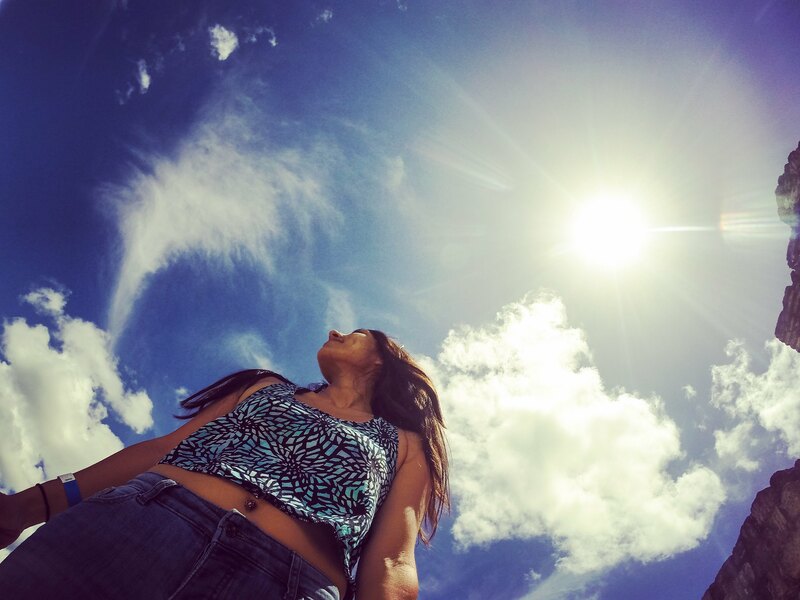 The sky was breathtakingly beautiful. 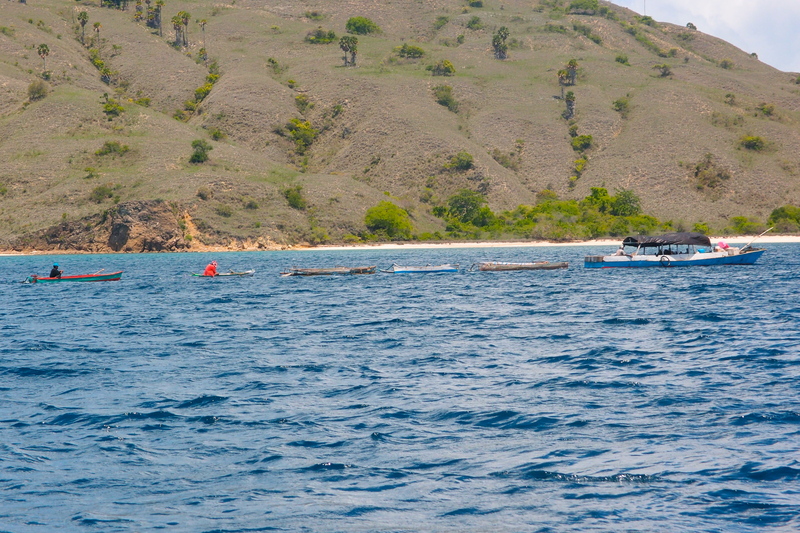 Tags: boats, diving, flores, Indonesia, kanawa, komodo dragons, komodo national park, labuan bajo, photography, snorkeling, travel. Bookmark the permalink. Just what I need for my collection!